In news that is perhaps totally unmathematical, one of Cartoon Network’s biggest shows is officially coming to its close. Six years after Finn and Jake’s adventures started, we now know they’re nearly over—but at least it won’t be for another couple of years. 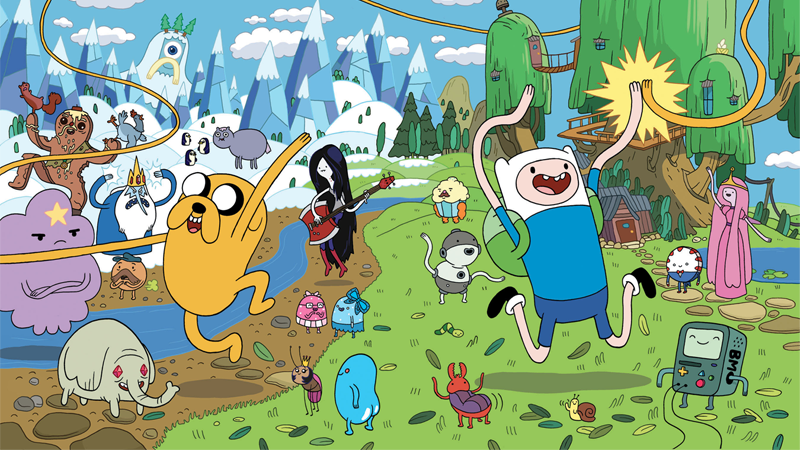 This morning, Cartoon Network officially announced that Adventure Time is officially ending in 2018, eight years after Pendleton Ward’s landmark animated show first began. In a statement released by the network, it was confirmed the currently-in-production ninth season will be the show’s last, with more specials and miniseries hinted at before the show finally comes to a close in 2018. Adventure Time has become one of the most successful shows Cartoon Network has ever had, leading the way to a renaissance of new animated series on the channel, like Regular Show (which itself was confirmed to be ending recently) and Steven Universe. It’s championed its own unique art style and brand of intricate worldbuilding, along with being delightfully weird, funny, and often times heartwarming. Although we’ve still got a few more years in the Land of Ooo, it’s sad to know we’re now on borrowed time.